As you know, travel is stressful, but providing you with sartorial tips to make the occasion a breeze is kind of one of our MOs. Today, we're focusing on a little something we all take for granted but that, in the hectic planning and packing haze before any trip, can be easy to neglect. In our opinion, it's one of the most crucial accessories when traveling, whether for business or pleasure: your handbag. Not to bring up any Goldilocks connotations, but handbags for travel can't be too big or too small, should be versatile enough to go with all your outfits (no small feat), need to keep your belongings secure and your hands free, and of course have to be durable enough to withstand planes, trains, and automobiles. With all of this in mind, we scoured the internet, and believe it or not, we found 20 handbags that fit the bill. Keep scrolling to shop the bags, and we wish you luck in choosing one that suits your destination to a T! Fanny packs aren't just for tourist types anymore. We're in love with this chic color combination. Flap bags make it much easier to access your things. 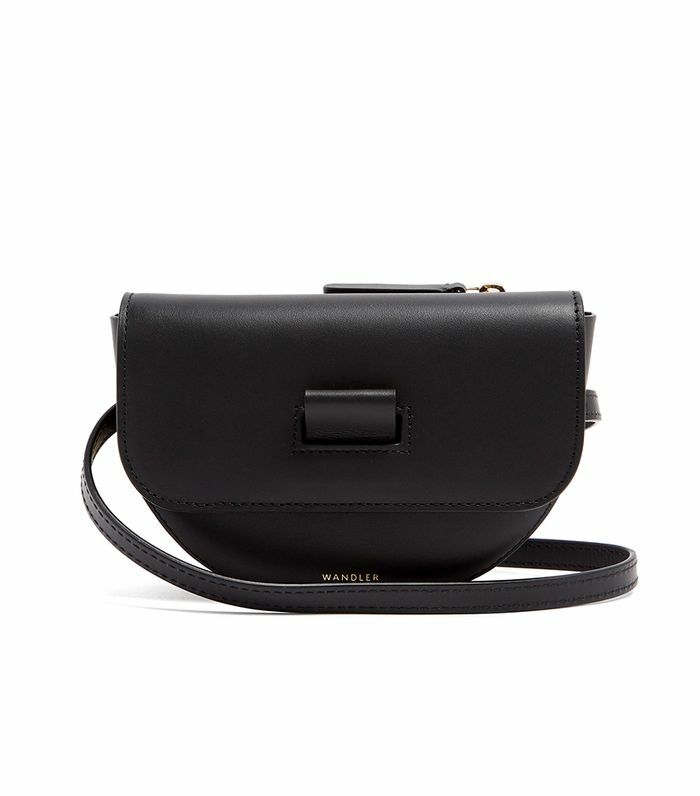 This cult-favorite bag has an optional strap, so you can wear it as a crossbody if you choose. Trust us: Circle bags will be bigger than ever (so to speak) in 2018, and this one goes with everything. If you ask us, red is a neutral. If you're the type to stick to a neutral wardrobe when traveling, you definitely need this bold bag. The perfect mini bag for transitioning into spring. It doesn't get more versatile than this satchel. A splash of leopard print provides the perfect amount of interest. A mini backpack is the ultimate convenient yet cool option. This is the perfect size to carry around day and night. Yet another Gucci bag to add to our wish list. This also comes in a black croc-embossed version. The price of this polished little bag sweetens the deal. Everyone will want to know where you got this sparkly little satchel. Coach and Rodarte made a bag, and it's as chic as you'd imagine. The beauty of this bag is that you can carry it crossbody during the day and with the bracelet ring at night. 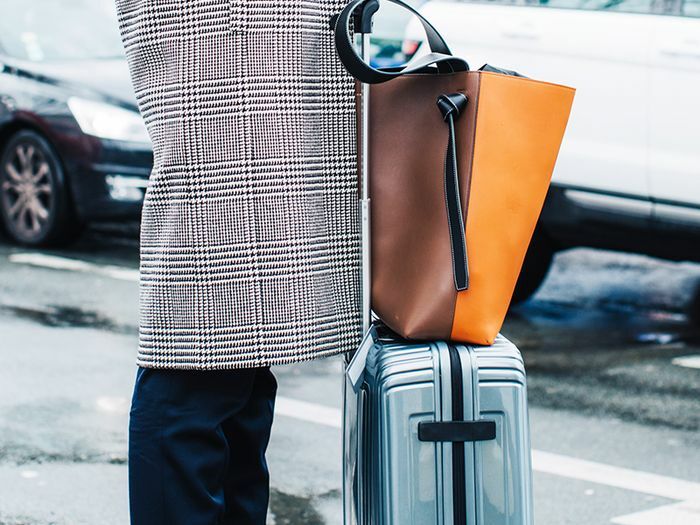 Next up, shop our favorite luggage of the moment.